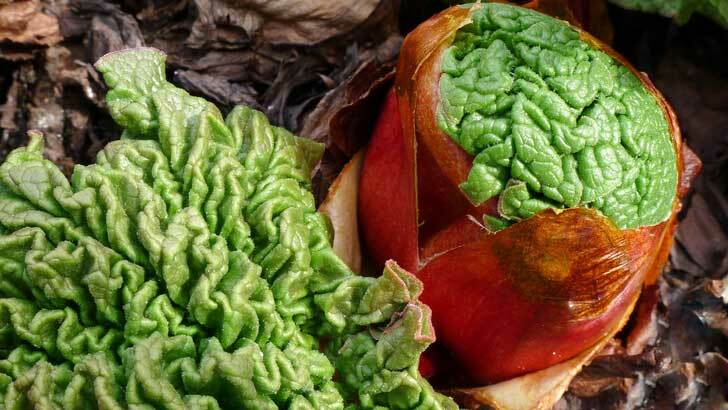 The rhubarb is a plant that was known to the ancient Greeks, and it was they who named it. The general theory explaining its source is that the plant was native to the regions along the river Volga, then known as the Rha. Its later Latin name was rhabarbarum, which, by elision, corruption, and partial restoration, passed into English rubarbe and, with Greek characteristics partly restored, rhubarb.